Let's tests a box that can project your PC screen onto your TV, and stream media from Windows, Android and iOS devices. Sending video, pictures and music from your PC to your TV sounds like it ought to be easy, but we've yet to see a device that does it perfectly. The most expensive TVs, Blu-ray players and games consoles come with DLNA (Digital Living Network Alliance) server technology, which is good for streaming media from a PC or NAS (network attached storage) over a network. Some also have rudimentary web access for getting online content into your living room. But if you want to view your PC screen on a TV, you probably still have to use a cable. 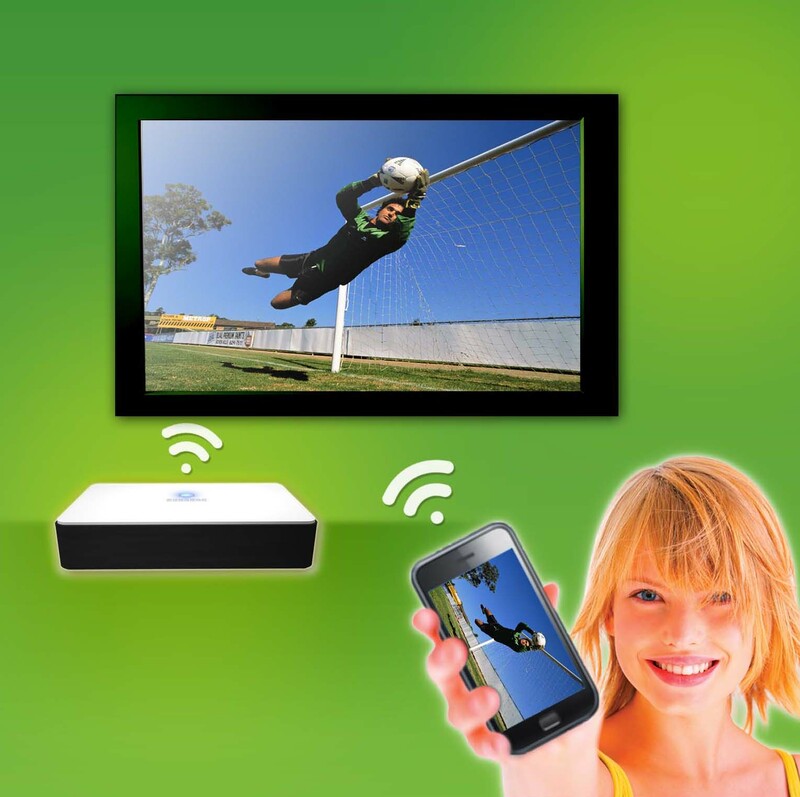 The Honestech nScreen Deluxe is designed to reduce the hardware clutter and provide a simple Wi-Fi-based alternative to getting your PC, Android and iOS device's content onto your TV. 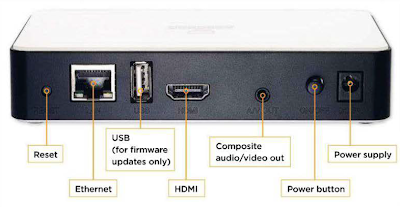 The nScreen's box hooks up to your TV with either HDMI or Composite cables, both of which are supplied. You can choose whether to connect it to your existing network, which requires a wired Ethernet connection to your router (though you could use a Home Plug if it's not close to hand), or logging into the device's configuration via your browser and setting it up like a router. Alternatively, you can let the device create a Wi-Fi hotspot of its own that is independent of your existing network. There are pros and cons to both options. If you use the nScreen's built-in wireless network, you have to disconnect your PC, Android or iOS device from your own Wi-Fi network in order to reconnect to the nScreen. Because you're in the same room, the Wi-Fi signal will be excellent, but your connection with the internet will be lost. If you'd rather connect the nScreen to your existing network, you'll need to buy extra cables and Home Plugs, or put up with a slower Wi-Fi option as it bounces to and from the router. However, you get to keep your internet connection because the nScreen will be on the network you use normally. This means you'll be able to browse online video, pictures and music. Bundled with the device and the cables are a quick-start guide and software for helping to connect your PC to the nScreen. This software gives you two ways to view content stored on your PC: by browsing your computer's content and playing it on the TV; or by 'projecting' your PC's screen onto your TV. The first of the two modes lets you search through your computer's contents and click to play a video, photo or music file, which will then appear directly on the TV screen. The player can handle video with a resolution of up to 720p, but it will only play a few file formats: MP4, MP2, MOV and AVI video files, MP3 music, and BMP, JPG, GIF and PNG images. This selection is disappointingly limited; many video formats (including standard options like WMV files) aren't supported. The way the player organizes and plays content is also less than perfect. You can open individual files or a group of files, as long as they're in the same folder on your PC. These are then added to a simple playlist that lets you click to play the first item, whether it's a photo, video or music track, then click the Next button to move on to the next item. Annoyingly, the software doesn't automatically skip to the next item on its own. We can see the logic behind this on a photo slideshow, but having to move the action on manually is pointless when it comes to playing music tracks. Another annoyance is that files from different folders can't be added to the same play list. If you want to select content from more than one folder, you first need to create a separate 'playlist' folder, and then copy everything into that. The process isn't difficult, but it's extraordinarily clunky, and you need to constantly attend to the player, which isn't ideal when streaming content. However, once your files are playing on the screen, video and pictures look great. We got a popping noise between audio t racks, though. The other option is to 'project' your computer's screen directly to your TV. This ought to help overlook the limited number of video formats supported, since you can stream to the TV whatever your PC is capable of playing. It's also the only way to watch internet video. However, we found that our test PC didn't translate to the TV screen ratio well, despite being widescreen, and the edges of full-screen videos were lost. The quality of streaming video is reduced to ensure the video plays smoothly, and compared with direct video streaming, it looks blocky. You can tweak the settings to strike a balance between network capability and quality, but we were hoping to sit back and enjoy the show, not miss the first five minutes while tweaking display settings. The Android and iOS apps are free and very similar. They only beam files to the TV - you can't see your device's screen on TV as you can with the PC software. The apps only run in portrait mode, which is fine for phone users, but seems like an unnecessary restriction on a TV-screen-shaped tablet. The apps are better at configuring playlists than the PC software. When compiling a playlist, you can select files from all over the device, not just one place. You still have to manually move the playlist on to the next item each time, though. 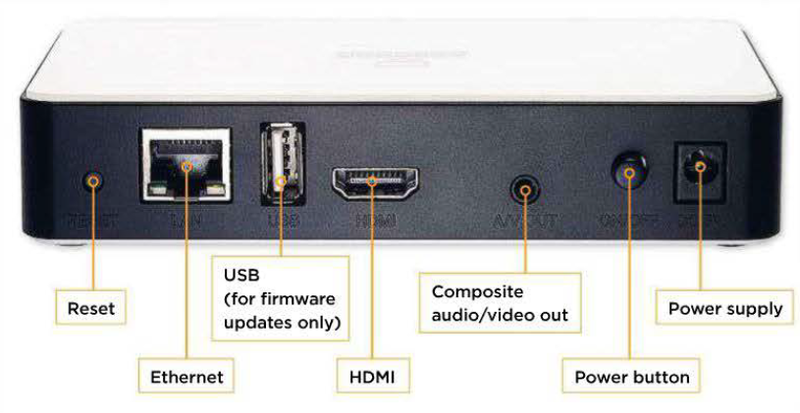 There are other devices on the market that can do some of what the nScreen Deluxe does: the Q-Waves Quicklink HD is better at wirelessly showing your PC screen on a TV; Apple TV is still a better option for iOS users; and Android works best with an HDMI cable or a device with a DLNA media server. Having said that, this is the only product we've seen that projects your computer's screen to a TV, while also playing media from PC, Android and iOS devices. Sadly, it doesn't handle any of these particularly well, with too few video file formats supported and a clunky interface that needs manual button-presses to move from one file to the next.